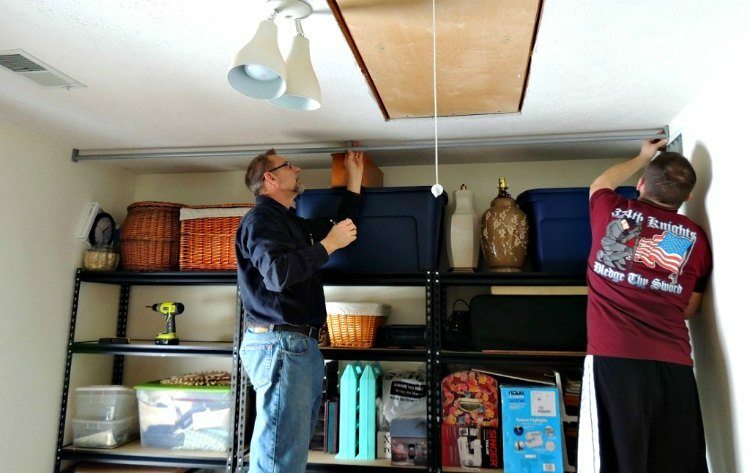 Help With the Cover Up:During our weekly trip to Omaha, we stopped at Lowe’s where we found a ten foot long adjustable closet rod with a center support bracket for just $12.00. The room is a little over nine and half feet wide so it worked perfectly. Here my hubby is supporting the center while our son attaches one of the wall brackets. The center bracket was secured last.